To meet the demands of top cyclist we are continually designing and building frames to new standards, as the sport develops. Our unique measuring jig enables us to experiment with the rider’s position to obtain the ultimate in comfort and performance – the position will of course be tailored towards the type of frame being ordered. For this reason we prefer the rider to visit our premises when placing an order, which is available by appointment only. All Argos frames are hand built on specially designed jigs, which ensure no stresses are built into the frame whilst brazing. Tubes are mitred on a lathe to ensure accuracy. The frame tubes are then assembled on the building jig, without lugs, and all joints are inspected for the fit of tubes to each other, and frame angles are checked. The frame is then dismantled the lugs fitted (where appropriate), and then re-assembled on the jig, thus ensuring that all joints are perfect. Whilst this is time consuming it does ensure that all Argos frames are built to the highest standard of quality on which our reputation rests. 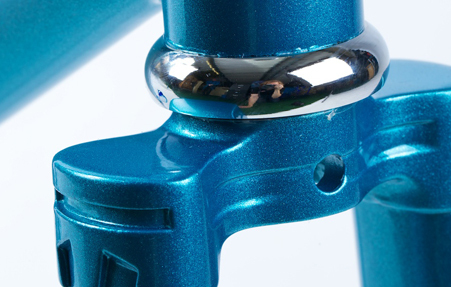 All frames are now built with micro fusion (cast) bottom bracket shells. Lugged frames are silver soldered throughout. 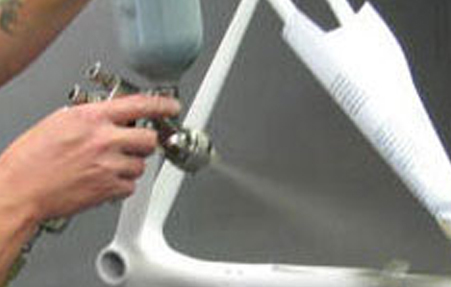 Lugless frames are fillet brazed using nickel bronze or silver braze as appropriate. Materials of the highest quality are selected for all Argos frames. Prices for road, low profile, touring, Audax and off road framesets are all determined by the tube sets used as shown on this website. Variations to the standard price are based on any extra braze-ons as detailed in our renovation price list such as fittings for cantilever brakes, racks, lamps, dynamos etc. All custom frames are stove enamelled to the customer’s choice and there is a selection of over 90 colours to choose from. Also Argos logos can be sprayed on in a colour to suit the type of finish you require, personal names can also be added. All frames are fitted with a good quality headset as standard. Other makes of headsets available at additional cost. All low profile frames have an option of our unique Aero bladed fork, built with Reynolds 753, cast crown and our own stainless steel dropouts: this option will add an extra £80.00 to the price. 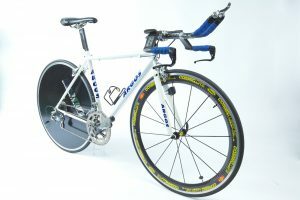 Aero down tubes are another option at £100.00 extra. 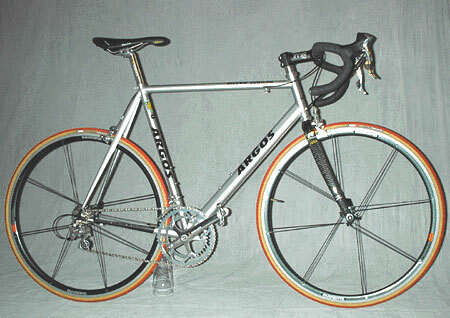 Track frames can be built from any of the tube sets listed: the list price is reduced by £80.00. 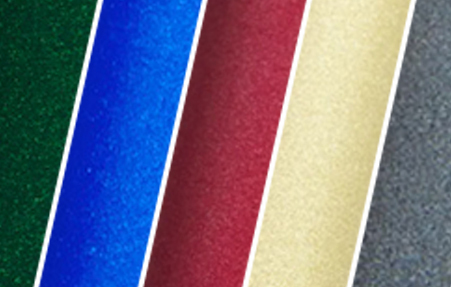 We are happy to quote on tube sets that are not listed, such as Tange, Dedacciai and Extra Light. Contact us.